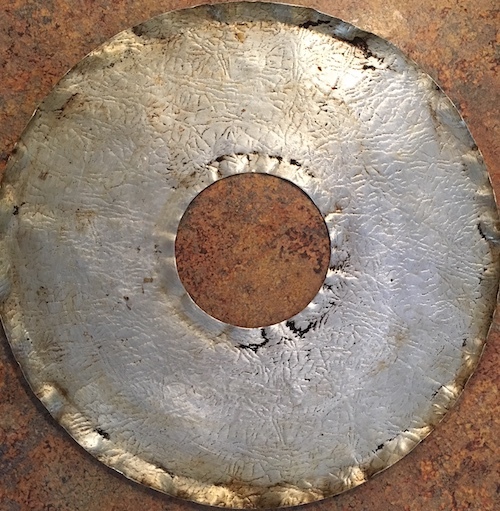 As promised, Jolene and Anne are sharing their favorite essential and ancient pie-making tools. First up, the drip pan that catches boil overs and allows air to circulate so the bottom crust gets done. 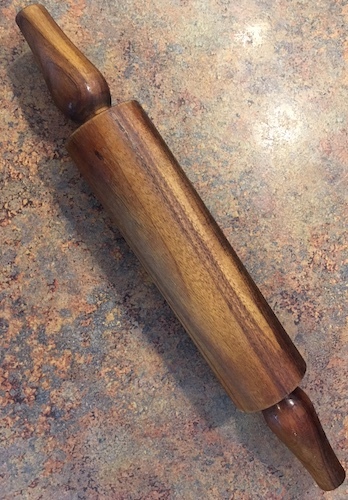 Next up, Anne’s favorite rolling pin followed by Jolene’s fave. 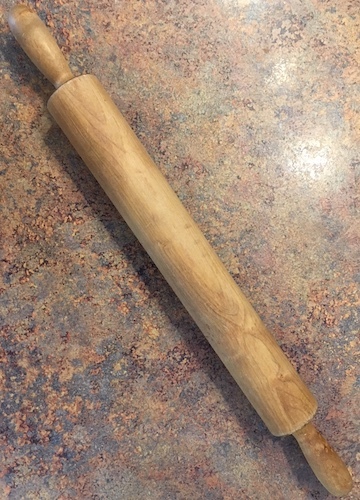 You can see Anne’s rolling pin in action in our How to Make Pie Crust video on Facebook. Pour in 2/3 cup salad oil and mix well. Blend this mixture well. Then form into a ball. Cut the ball in half and roll out each crust between 2 sheets of plastic wrap. This recipe makes 2 pie crusts.